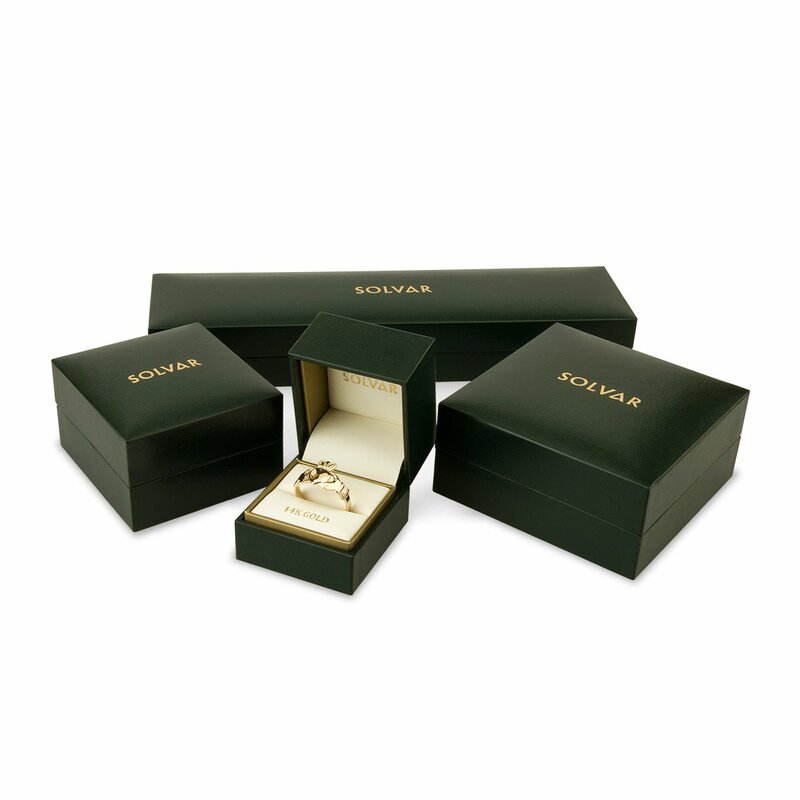 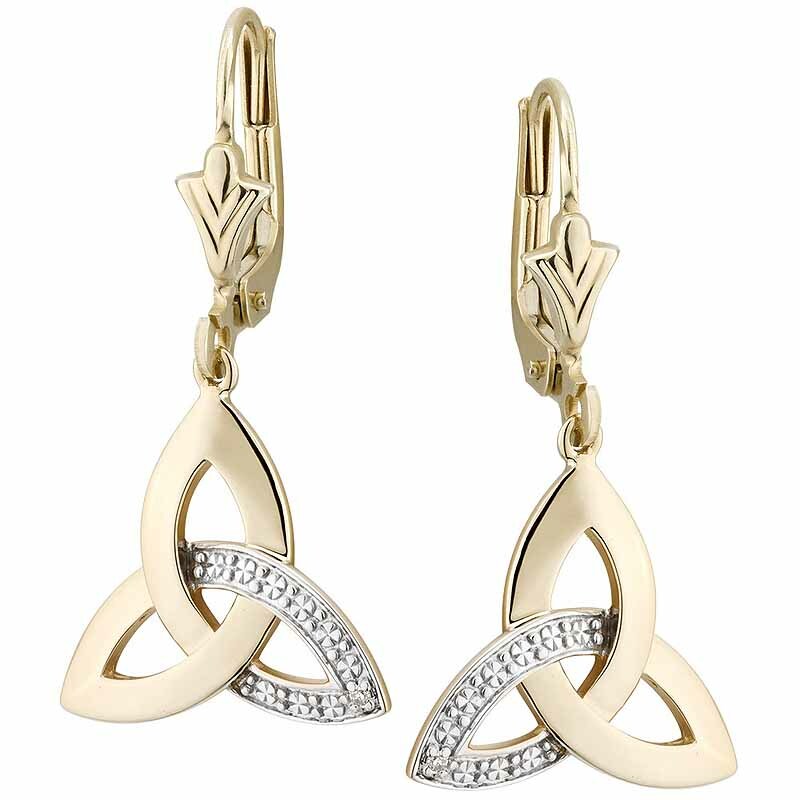 A stunning pair of Irish drop earrings. 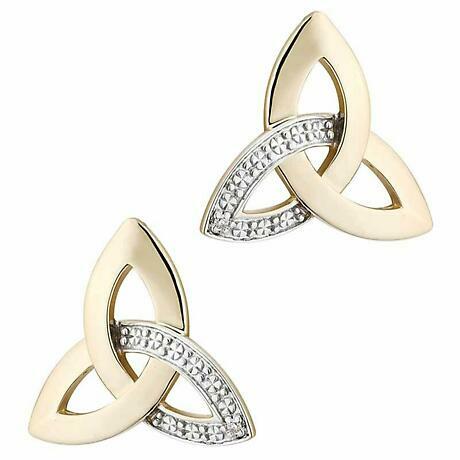 10k Yellow Gold Trinity Knots sparkle with diamonds and an accent of 10k white gold. 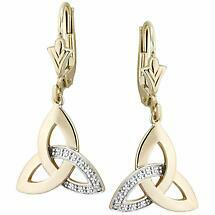 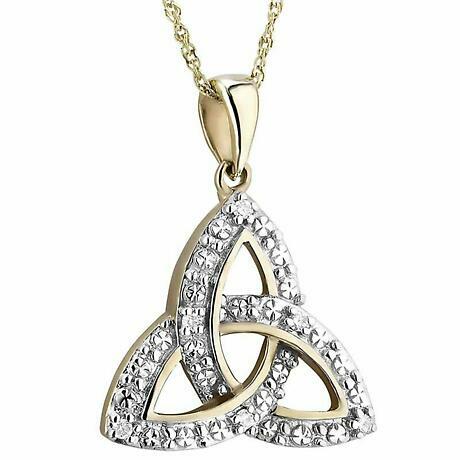 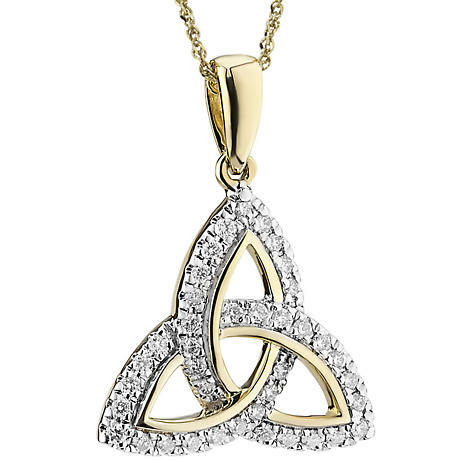 Having neither beginning nor end, this Celtic Knot makes an ideal gift of eternal Love, Faith or Friendship.